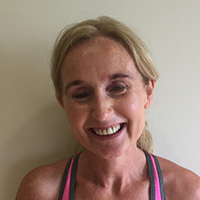 An expert in fitness and personal training, driven by a passion to share knowledge and experience gained over 20 years in the industry Lesley Giltinan of Vipr & Tone qualified in 2011 with The National Training Centre in Exercise, Health Studies and Personal Training. In 2012 Lesley set up Vipr & Tone. When she started her target was to fill 3 classes per week with 10 people in each class. Now 5 years later Lesley runs a full schedule of classes per week and more than 500 people make weekly visits to do a Vipr & Tone session. Business has increased and Vipr & Tone is now very successful. 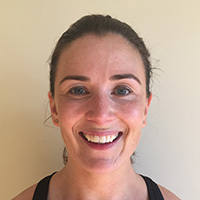 Lesley is now launching LeanWithLesley a series of workout videos to suit everyone's fitness goals that are quick and effective and designed to fit in to your busy schedules. With a variety of videos to choose from Lesley's unique type of training will guarantee awesome results no matter what your level of fitness is. Working out was something I used to dread but training with Lesley has changed my entire perspective on it, and it is now something I look forward to. Lesley is so passionate about health and fitness it is contagious. I love working out with Lesley and just after a short few weeks I feel incredible. I am excited to continue a lifestyle full of activity, nutrition and of course LeanWithLesley workouts.